The Northeast District is one of the eight districts of Women of Reform Judaism (WRJ), an affiliate of the Union for Reform Judaism (URJ). WRJ is the collective voice and presence of women in congregational life. 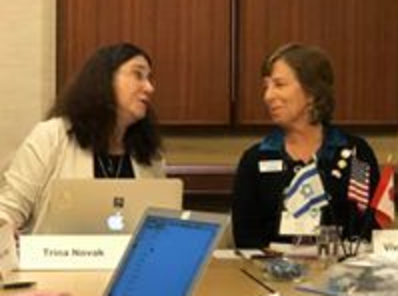 Stronger together, we support the ideals and enhance the quality of Jewish living to ensure the future of progressive Judaism in North America, Israel, and around the world. READ MORE ABOUT "WHO WE ARE"
In late October, over 100 women gathered in Framingham, Massachusetts, to attend the Sixth Northeast District Biennial Convention for four days of learning, praying, mourning, and celebrating together. We had seminars on a variety of topics – from how to run your sisterhood to how to run social advocacy programs to using social media to relaxing with Jewish meditation. While we were devastated by the events in Pittsburgh that Saturday morning, we were glad that we were together to share our feelings and make plans for what to do next. The services were moving and beautiful, and we were lucky to have with us Jane Taves, WRJ vice president for Advocacy, Marketing, and Communications; Rabbi Marla Feldman, executive director of WRJ; and Heather Lorgeree, WRJ manager of Programming and Affiliate Services – as well as our own Sara Charney, WRJ first vice president; and Abigail Fisher, WRJ vice president of Development and Special Projects. That's a lot of woman power! We who attended were re-energized and renewed with the excitement of what we as women can do together. We returned to our local sisterhoods ready to try new programs and share all that we learned. If you have not done so already, please take a look at the blog entries for the convention on the Northeast District's Facebook page. You can also check out our FACEBOOK PHOTO GALLERY of the amazing women that make up our Northeast District. When I was 10 years old I was told that I was celebrating Shabbat incorrectly. I did not understand – my family lit candles, sang Kiddush, and said the motzi. We ate a meal together, often with my grandparents. My father and I went to Shabbat evening services, and we sat together as we prayed. At the time, I was one of a few girls in my religious school class at a Conservative synagogue. On Sundays we would be asked, “Who went to Shabbat services?” and I would proudly raise my hand and earn a star on the class chart. Yet, one Sunday I was challenged by my male classmates who had not seen me in attendance. When I explained that I went every Friday night I was told that attending Shabbat services only counted if one went on a Saturday morning. I was taunted and told that my stars did not count. Needless to say, it didn’t take long before my parents granted me permission to leave religious school. I remember my father telling the rabbi that he would not let him or anyone else bully me into doing things their way. After Jim and I were married, we decided to join Temple Beth Shalom in Needham, Massachusetts. The community attracted me for two main reasons –first, because the sisterhood welcomed me with open arms, and second, there seemed to be opportunities in the Reform community for women to take on leadership roles. 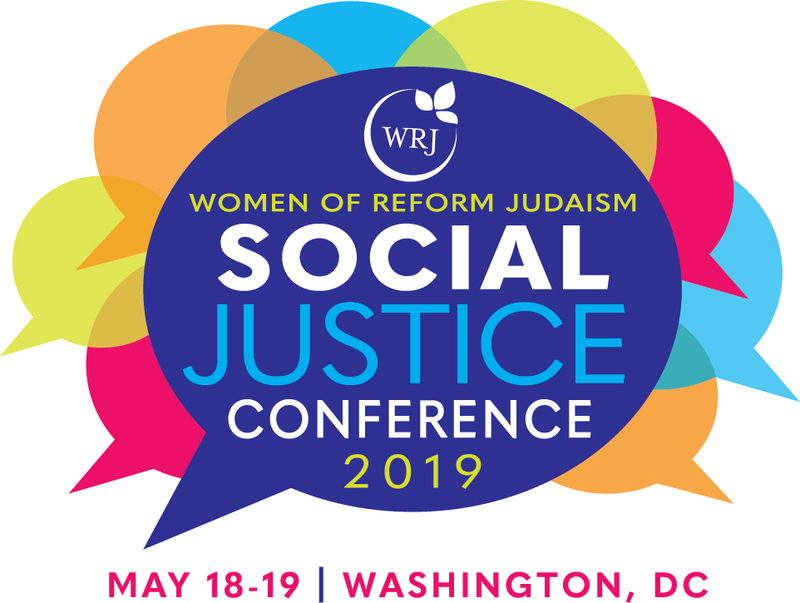 I was exposed to the bigger picture of what could be through Women of Reform Judaism, or WRJ, and the rest, as they say, is history. This weekend we have been celebrating ten years together as a district. 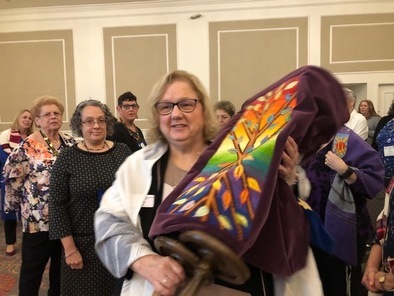 Our theme, “Ten Years Together – Growing Our Community,” reflects the efforts by our women, who first envisioned, and then built, an effective and well-run district, driven by common goals and love for Women of Reform Judaism. 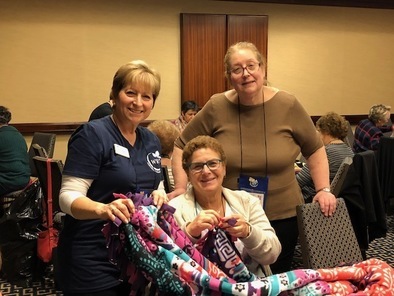 Read our newsletter... NEWS FROM THE NORTHEAST is sent via email to sisterhood presidents, individual WRJ members, Kevuda Society members, and the board of the Northeast District on the first Tuesday of each month. Ask your sisterhood president to forward it to you, so that you can keep up with all the news in the Northeast District. Or you can read it HERE. 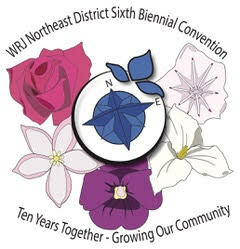 Like us on Facebook... VISIT OUR FACEBOOK PAGE to see what's happening in the Northeast District. 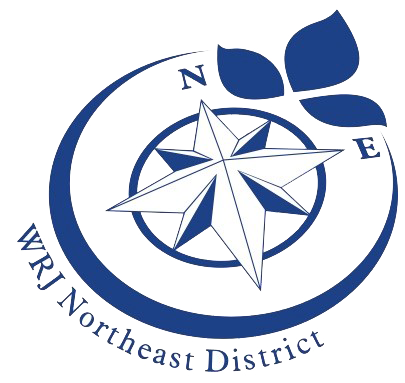 Follow is on Twitter... @WRJNortheast to get up-to-the-minute information on happenings around the Northeast District and of interest to Jewish women. Join the conversation on Yammer... THE YAMMER WEBSITE allows WRJ sisterhood leaders and individual members to connect with one another, ask questions, and share strategies and programming. Once on Yammer, join the WRJ Northeast District group to collaborate with others in the district. To request access to Yammer, email leadership@wrj.org. If you are a sisterhood leader, please also include the name and location of your sisterhood as well as your own contact information. Become a member of the Kevuda Society... Former members of the boards of District 1, District 3, and the Northeast District can stay in touch by joining the Kevuda Society. Please contact us at wrjneblast@gmail.com for more information. Contact us by email... Write to us at wrjneblast@gmail.com with your comments and questions, and tell us what is happening in your sisterhood or community. We would love to hear from you! Last but not least, visit our website often... It provides helpful information about the district and its resources. No sisterhoods in your area?